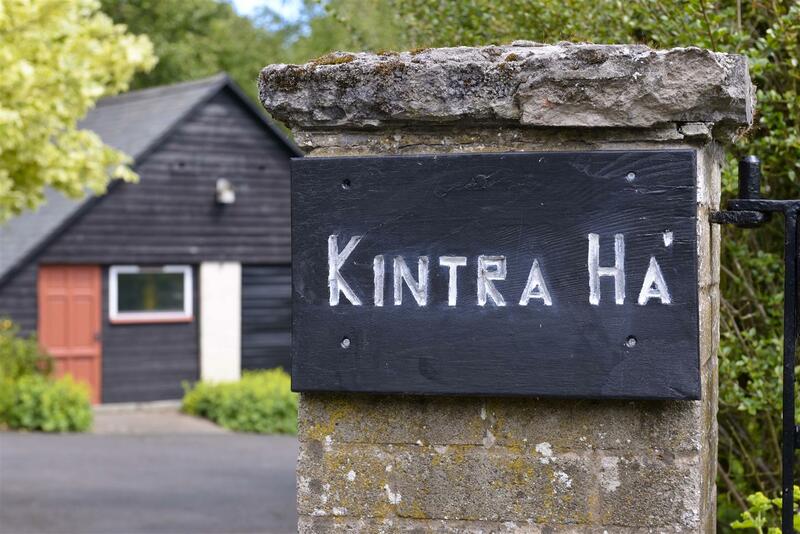 For those looking for a unique and individual property, Kintra Ha’ is sure not to disappoint. 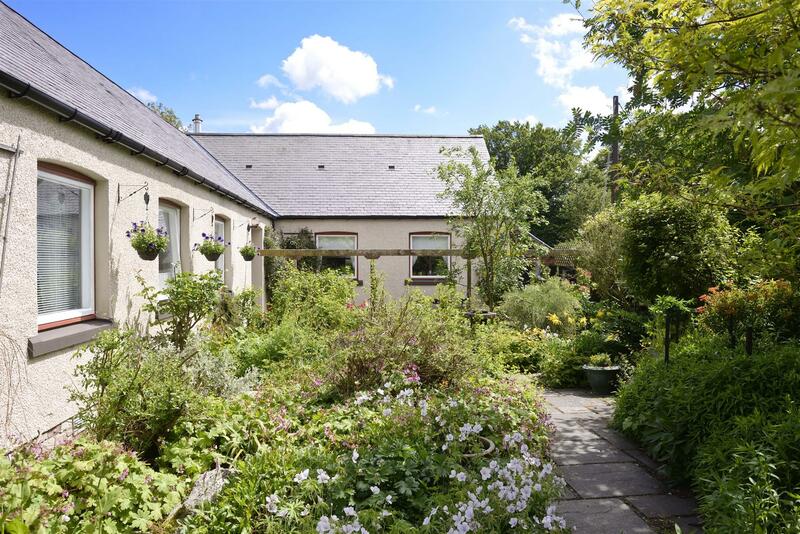 Built in the late 1960’s as a primary school to serve the local village, the property was then converted to into what is now an interesting family home in the mid 1990’s. Rather unassuming from first impressions, the property offers many of the features that you would associate with an old school such as high ceilings and large full height windows and benefits from particularly spacious, well laid out accommodation with the living quarters predominantly located towards the rear with fabulous outlooks over the beautiful garden grounds. 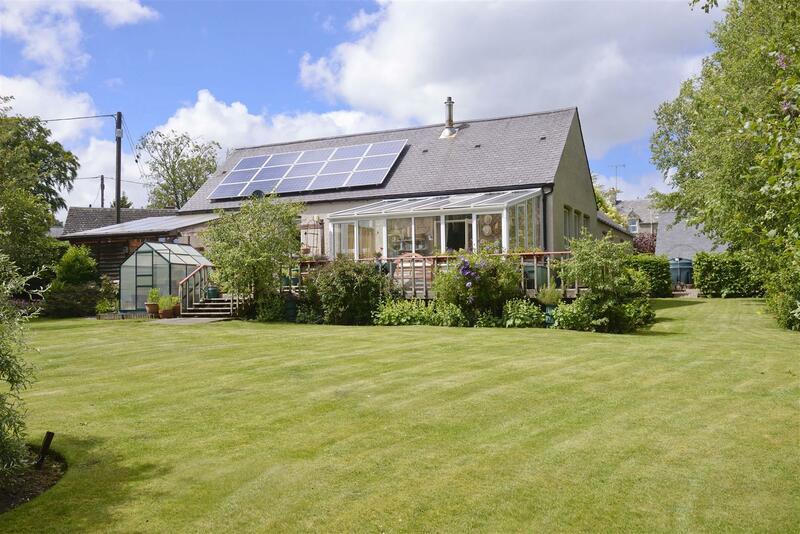 The space on offer both inside and out, make this an ideal opportunity for those seeking a family home within an established and thriving community; the village is located a few miles north of Duns where all amenities and local schooling is available. Equally, Longformacus is also within commuting distance of Edinburgh and therefore ideally suited to those looking for a quieter way of life but still within striking distance of the city. Longformacus lies in the heart of The Lammermuir Hills, seven miles north of Duns, some 45 minutes drive from Edinburgh and 25 minutes to Haddington. The ascent into the Lammermuir Hills takes you into a different world with breathtaking country views and a lovely quiet drive over the Lammermuirs. Duns is a thriving County Town and includes an 18 hole golf course, swimming pool, shops and both Primary and Secondary schooling with the new secondary school having been completed in 2009. 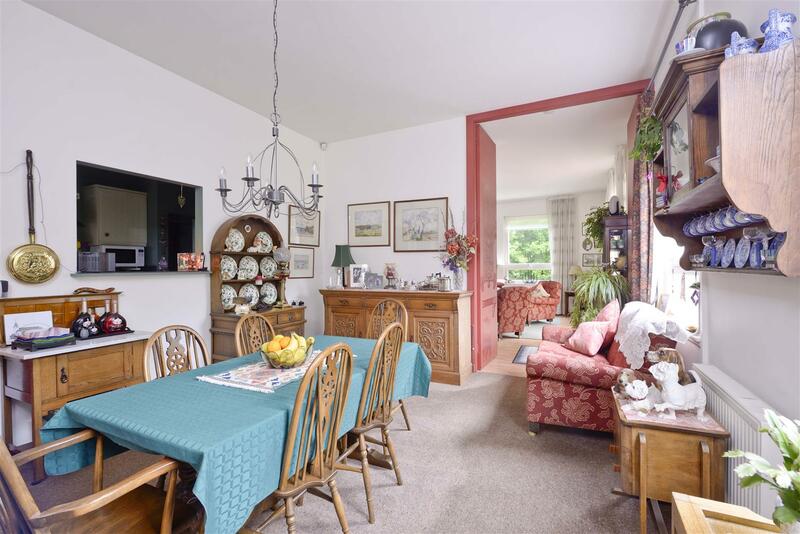 Longformacus is ideally located for those interested in country pursuits with hill walking and fishing on your doorstop. There is a real sense of community within the village of Longformacus with the village hall in regular use for various activities and events. Music and sailing lessons are some of the activities available, to name but a few and there are community allotments for the garden enthusiast. Generous amounts are available from the windmill trusts to support local projects. 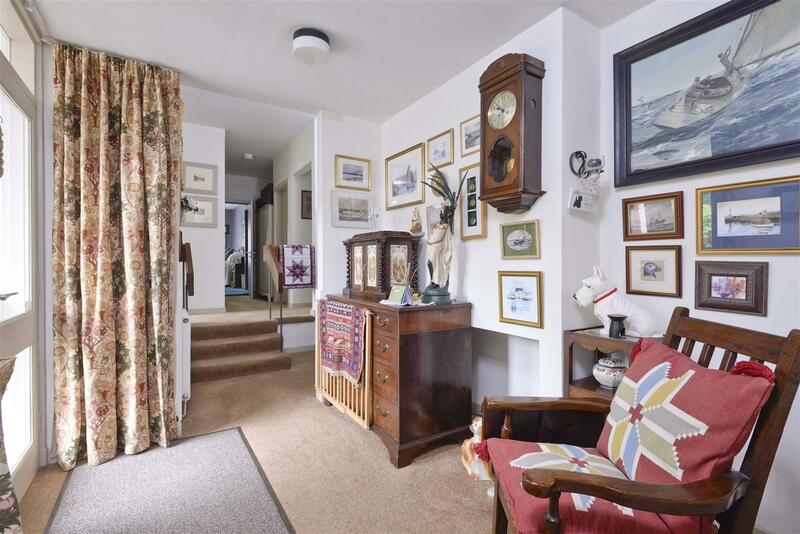 Entrance Hall, Sitting Room, Dining Room, Conservatory, Kitchen, Utility Room, Home Office/Bedroom Four, Three Further Bedrooms (Master with En-Suite Shower Room and Dressing Room), Family Bathroom and Separate Cloakroom. Large Gardens. Garage and Workshop. Double gates open off Gifford Road onto the private driveway which provides space for several vehicles including caravans or such like if desired. 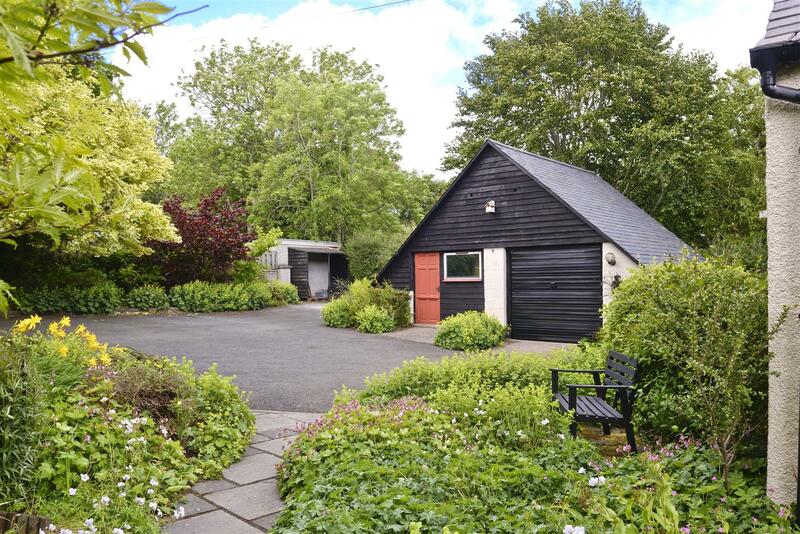 The detached garage and workshop lies off to one side with the gardens extending beyond. A paved path meanders through an established planted area of garden to the front of the property and the main entrance door. The main entrance hall ensures a lovely warm welcome with 3 steps leading to the bedroom accommodation. 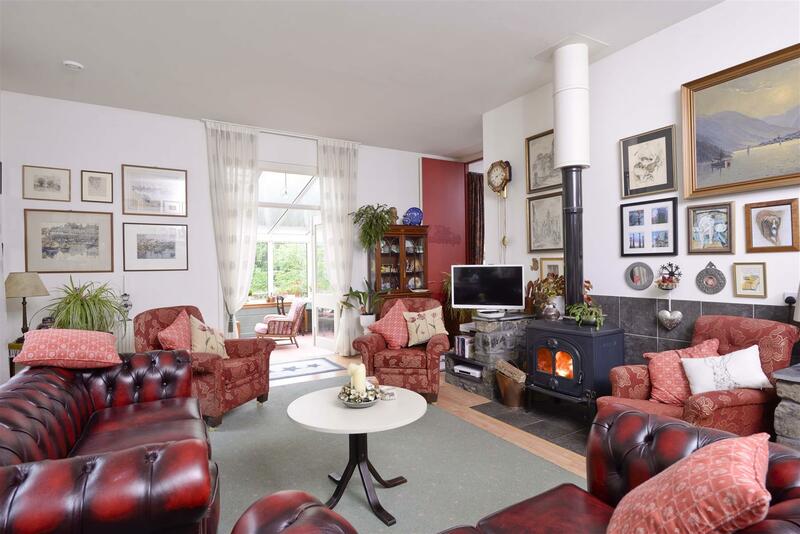 As mentioned the ‘living accommodation’ is predominantly located towards the rear of the property; the sitting room is an impressive room of generous proportions featuring the trademark high ceilings and a selection of large windows which ensure plenty of natural light and outlooks over the gardens. 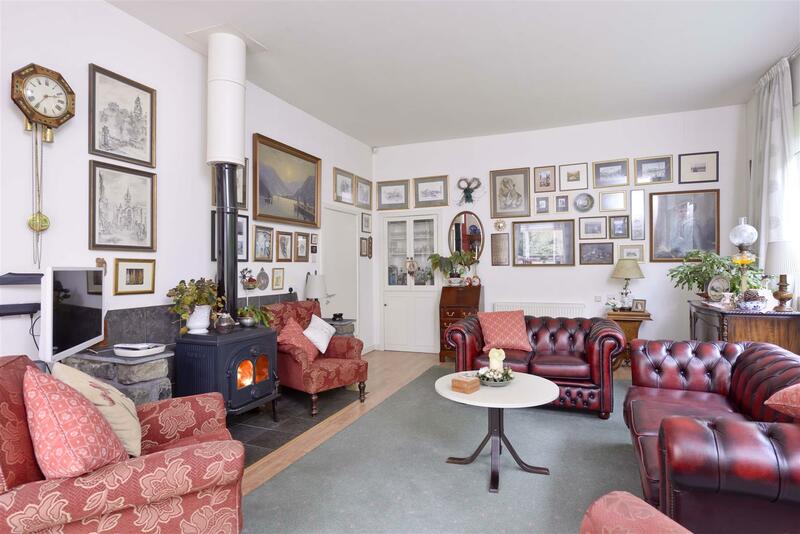 A lovely focal point to the room is provided by the log burning stove which is set on to a tiled hearth with matching tiled surround. 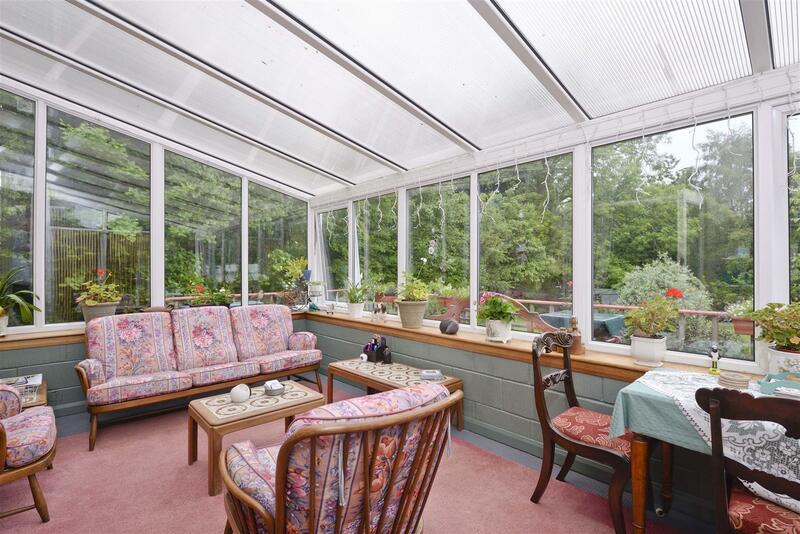 Leading off the lounge is the conservatory which has been a worthy addition to the property; glazed on three sides and designed to make the most of the private garden aspect. This room provides plenty of space for sofas or everyday dining if preferred with doors leading directly onto the decked veranda. For those that enjoy entertaining, the formal dining room is the prefect space. Providing ample room for a large table and again enjoying outlooks over the gardens. This room is conveniently located next to the kitchen with a large open hatch between the two. 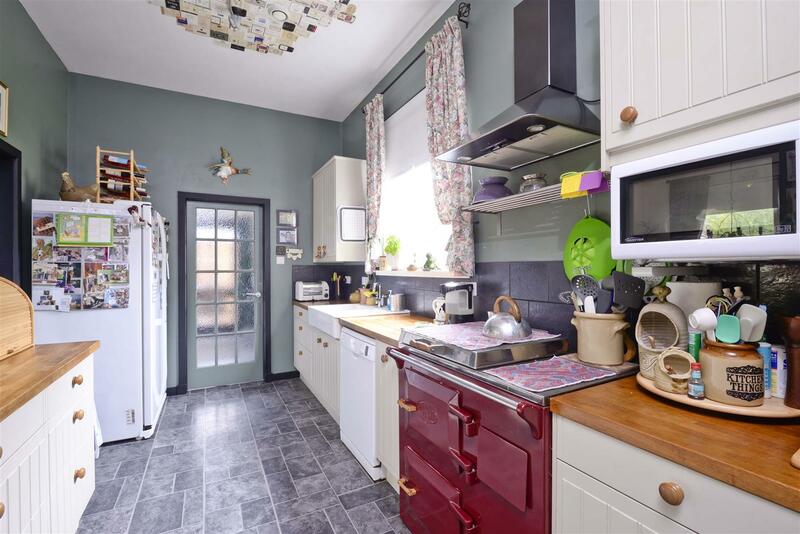 Fitted with an excellent range of shaker style wall and base units and a walk in larder, the modern kitchen fits perfectly with the traditional charm of the property. The adjoining utility room provides a very useful facility and gives access to the external covered storage area. For those that work from home the dedicated home office provides an ideal working environment with a peaceful aspect over the gardens. 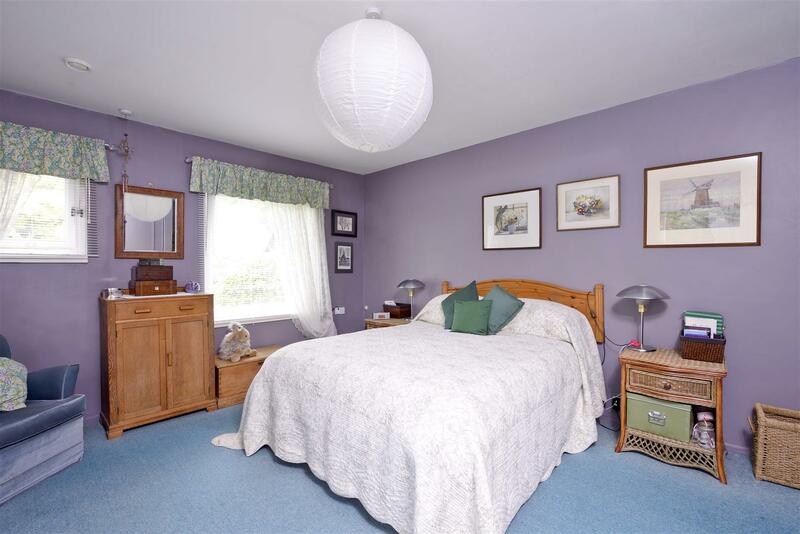 Equally, for those that require a fourth bedroom this would make for a well-proportioned double room. Cleverly, the bedroom accommodation is positioned towards the front of the property and is nicely separated from the living accommodation. 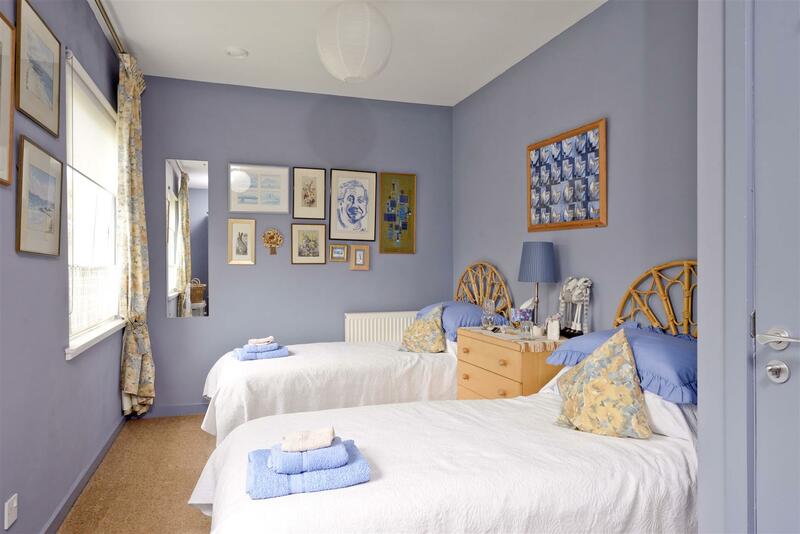 The master bedroom suite is very well appointed with a large double room complete with built in wardrobes, together with a dressing room and very freshly presented shower room which is nicely tiled and incorporates a large shower cubicle. 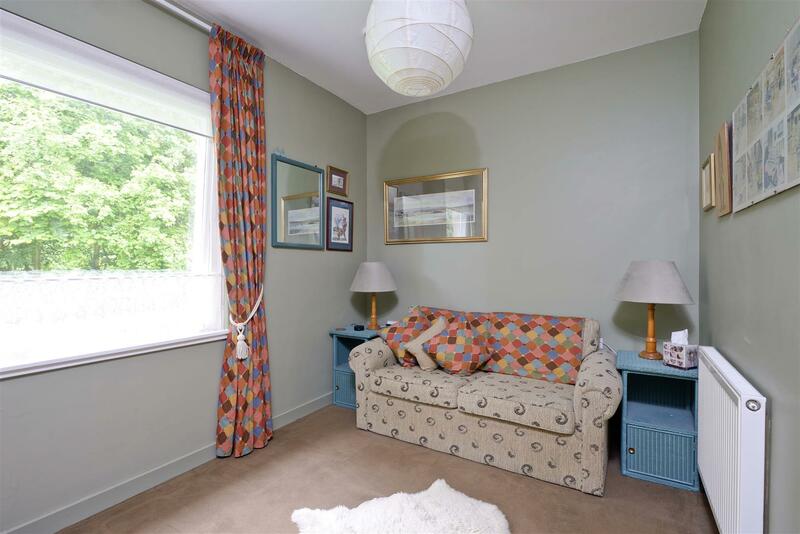 Bedroom two is a light and airy twin room with an aspect over the front whilst bedroom three enjoys outlooks to the rear with a woodland aspect. 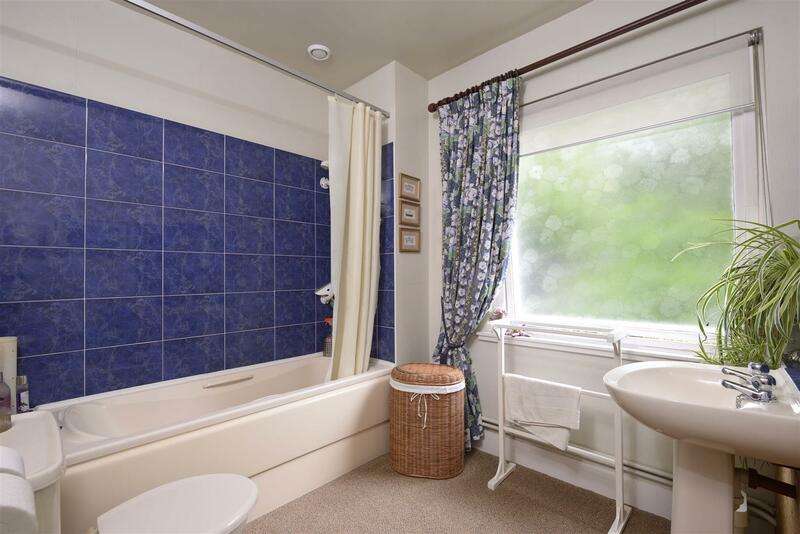 Usefully the property benefits from both a family bathroom and separate cloakroom, ideal when catering for guests. 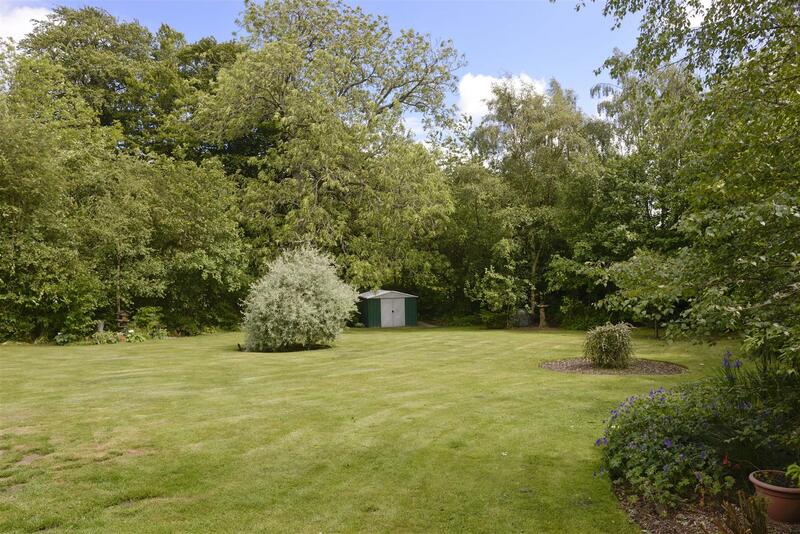 For the gardening enthusiasts, the outside space is perfect and extends in total to around 0.75 acre. The main area extends South to the rear and enjoys absolute privacy, thanks in part to the woodland surround. The neatly tended lawn is bordered by established and colourful planted beds and there is a large metal shed. The area which extends to the side of the property provides space for a greenhouse and clothes drying and in turn leads back to the drive way at the front. There is a decked veranda accessed off the conservatory which has been designed to make the very most of the outlooks over the grounds. Usefully a covered storage area is accessed off the utility, ideal for external storage, wood store etc. A detached garage lies to the front of the property with additional storage within the attic space. An adjoining workshop provides a useful facility with light and power. This substantial building has potential as a studio or holiday let. Mains water, electricity and drainage. Oil fired central heating. Double glazing, Photo voltaic cells on roof.